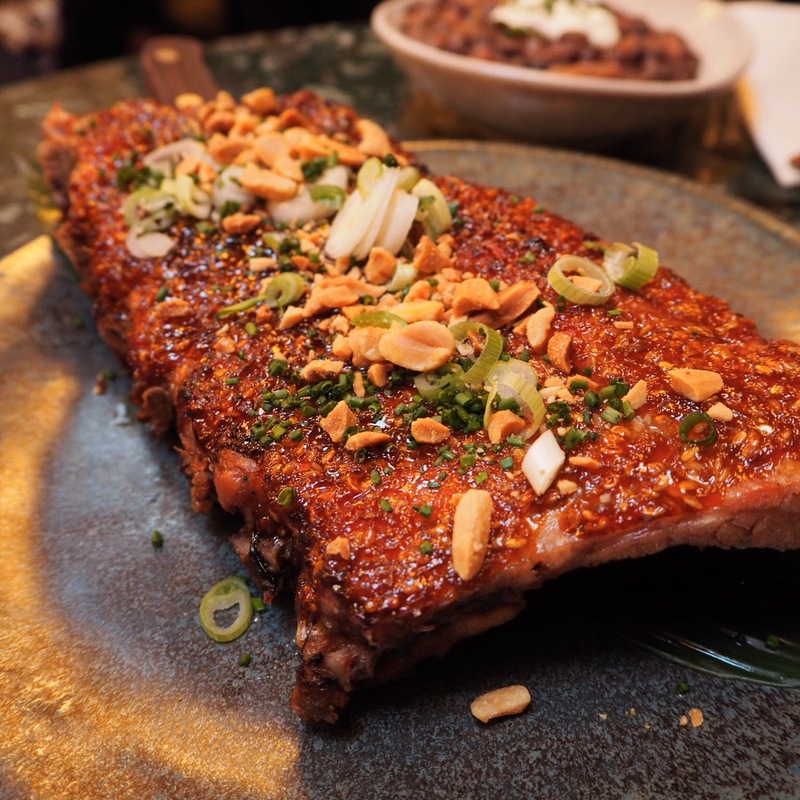 Peruvian food has been on the rise for a while now, and London has of course reflected this trend with countless restaurants, a few of which I’ve visited in the last couple of years. My experiences varied immensely, as I was unimpressed by Lima, neither here nor there with Ceviche, and enamoured by Lima Floral. Then I actually went to Peru, and was overcome not just by its landscapes, but also by its cuisine, as it was by far and away the best food we’d tasted in South America. 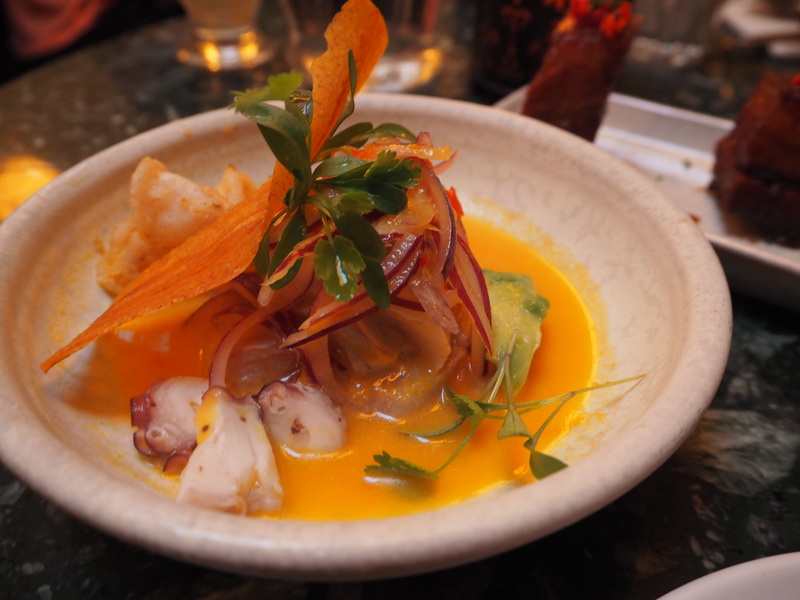 After having sampled various food out there, and even taking a cooking class, I was curious to see if my opinions on Peruvian food in London had changed. Enter Señor Ceviche! 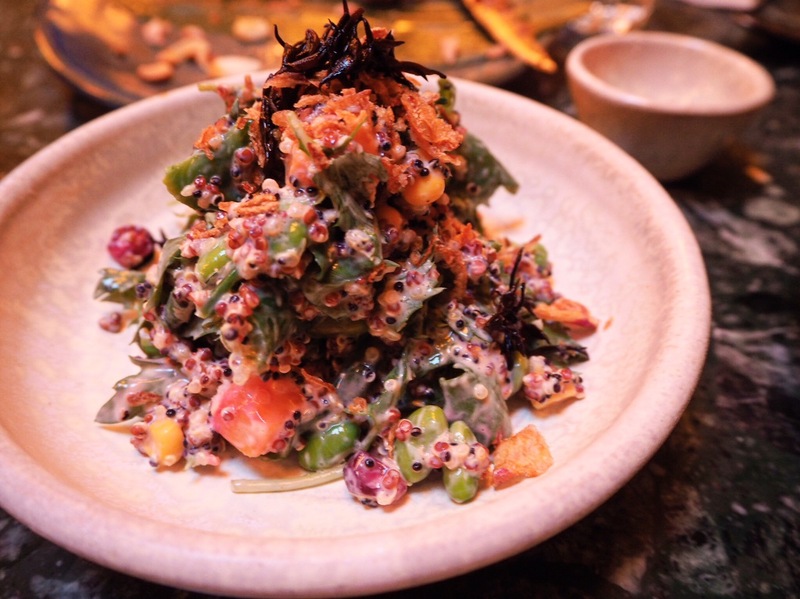 Their new outlet on Charlotte Street is in the midst of Fitzrovia, aka Restaurant Central, and I caught a glimpse of one of my favourites, Bibimbap, as I strode through the pouring rain (hello, British summertime). I walked in soaked, with my glasses all fogged up, but was greeted in a hearty and welcoming South American fashion. Led to my table in the upper area, I sank into the sofa and immediately dug into the cancha. Oh how I’ve missed this crispy corn! Bonus points for the pretty little bowl it was served in. It had been a busy day at work, and to calm myself down, I knew exactly what the remedy was: a pisco sour. After all, this had been our favourite new discovery in Peru (and Chile)! I chose a maracuya (passionfruit) flavoured one, and it was everything I wanted it to be. Not sickly sweet from a maracuya syrup, it tasted just like a pisco sour should: sharp, sweet, and sour all in one go. 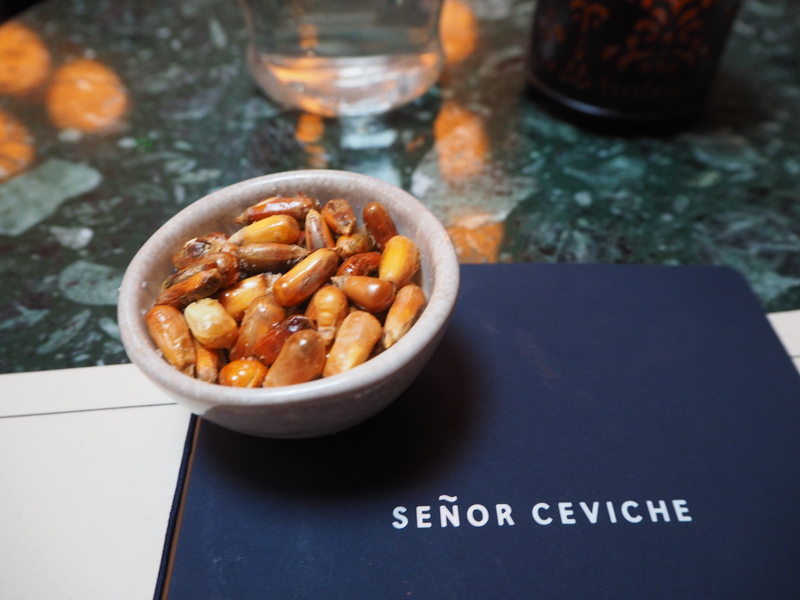 Some people would call Señor Ceviche’s menu ‘tapas style’ – but to me, it was simply an assortment of all the things we’d grown to love in Peru, plus a few surprises. I’m not sure my cooking teacher in Lima would have approved of a Jerusalem artichoke ceviche, but we decided to mix up some classics with a few gambles, and we were so glad we did. 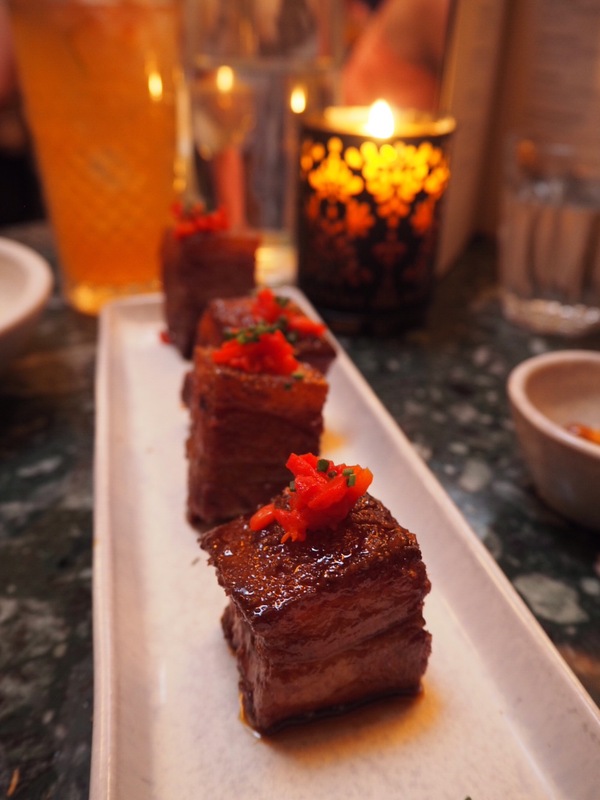 We started off with the pork belly, and I nearly fainted. The fatty fat chunks melted as soon as they hit my tongue, and I had to hold on to the table for dear life. How? How is this possible?! I was in heaven. Heaven is on Charlotte Street. 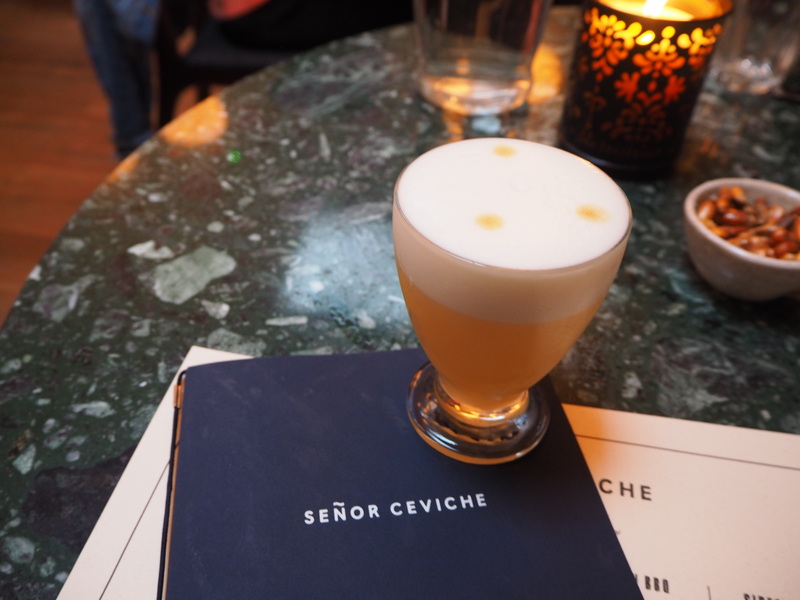 We had to go for the ceviche clasico, and whilst the traditional slices of camote (sweet potato) were replaced with a puree, the leche de tigre was just what we had missed: sour, spicy, and sweet. The chunks of fish weren’t overdone, just ever so slightly cooked in the acidity of the lime. Hats off, Señor Ceviche. The other ceviche was the so-called Señor Ceviche, which included crispy baby squid and didn’t quite measure up to our expectations. This is down to food snobbery though, as we had a similar dish at Isolina in Lima, and nothing could ever beat that crispy delight! The sides were a wee bit disappointing, as the frijoles negros and the quinoa soltero weren’t anything special and were missing a standout flavour. Next time, I’ll simply forgo them and order another BBQ dish! We finished off with a stunning dulce de leche creme brulee, which was so wonderful that I forgot to photograph it! All in all, it was a lovely evening, and it definitely made me nostalgic for my trip. The service was supremely friendly without being overbearing, and I really appreciated the little details. As my friend was late (TFL strikes again), I was brought a drink, but at my request, nobody bothered me again until she arrived. But the moment she walked in the door, they made sure we were taken care of. In terms of the décor, I had expected to be overloaded with Andean designs and colours everywhere, as had happened to us in Peru, but Señor Ceviche was a bit more subtle, with black and white photographs adorning the walls alongside a bit of indoor gardening. 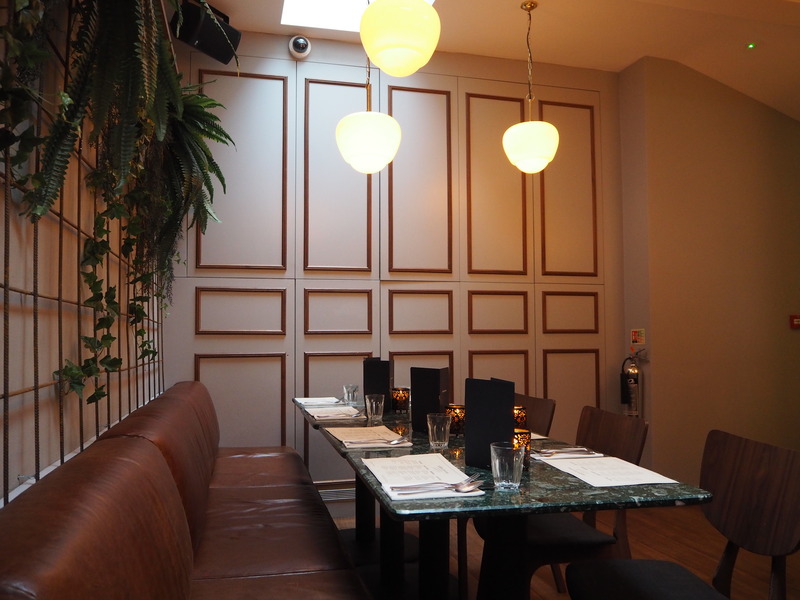 I loved the greenery on the walls, as we felt like we were in a garden, and having this indoors is certainly a far safer choice for London, especially considering that day was rainy AF. I received my meal at a discount, but as always, all opinions are my own.